Many families mark the days of advent with a traditional advent calendar, opening a tiny door for each day leading up to Christmas. 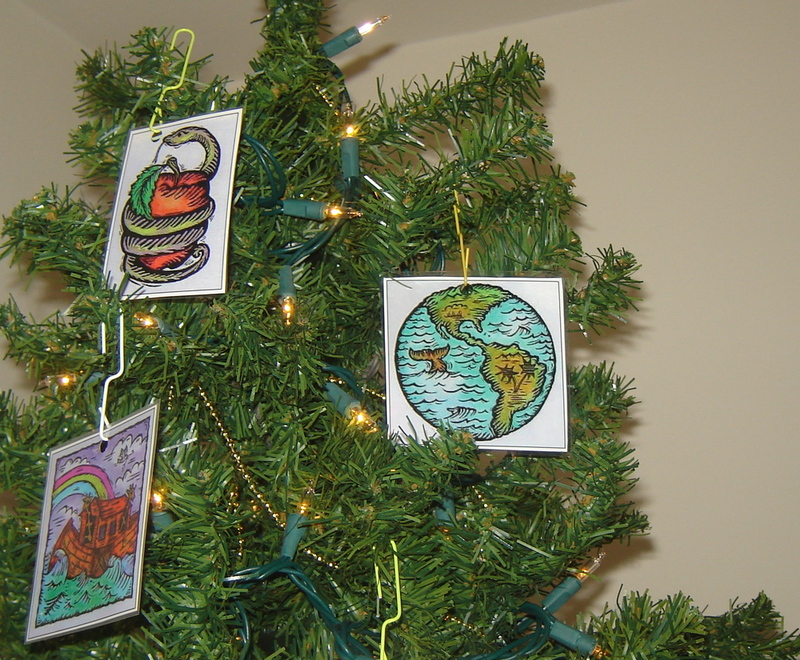 Our family advent tradition, the Jesse Tree, focuses on tracing the storyline of God’s family from Creation to Cross. We all have a family tree–branches filled with mothers, fathers, sisters, brothers, grandparents, aunts, and uncles. The Jesse Tree is a way we remember God’s family line and our own place in it. As Christian parents, we remember our adoption into God’s family by his grace. As we teach our children, we pray that God will include them in this family by giving them living faith. In our home, it is a tiny one and a half foot discount store Christmas tree. On it, we hang a laminated paper ornament for each day of Advent. Each ornament on the tree represents the story of a person in Jesus’ family tree. In Isaiah 11:1 we read, “A shoot shall come out from the stump of Jesse, and a branch shall grow out of his roots.” Jesse was the father of David, Israel’s greatest king. And it was from David’s lineage that Jesus came. That’s where the idea of using a Jesse Tree to celebrate Advent came from. Before a symbol is hung on the tree, a Bible passage or a story from a story Bible is read. This is the story of God’s family, the story of the Christian family. As we read his Word, we remember that Jesus came for his family. Jesus comes to us, and he will come again. Come Lord Jesus. I've worked on a Jesse Tree project guide with the Arts ministry at our church, Sojourn Community Church--Midtown in Louisville, KY. It includes sample symbols by artist Tim Mobley, beautiful cover art by Elise Welsh, instructions for how to make Jesse Tree ornaments, and family devotions based on the Jesse Tree. Sam Luce has posted about how there are 24 Old Testament stories in the Jesus Storybook Bible that lead up to the birth of Christ. One year, we chose to read one of these each night as we put up our Jesse Tree ornaments. Another helpful resource is Ann Voskamp’s book, Unwrapping the Greatest Gift, which was designed for use with a Jesse Tree. 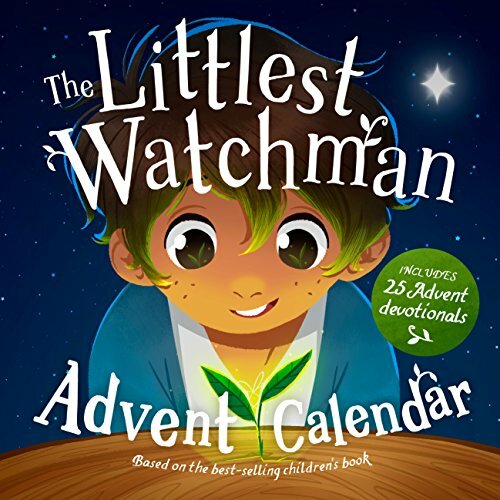 My friend Scott James has written a children's book entitled, The Littlest Watchman, which tells the story of a boy named Benjamin who watches for the fulfillment of the "root from Jesse" prophecy. The Good Book Company has created an accompanying Advent calendar and devotional that includes instructions for making your own Jesse Tree. We have also used Marty Machowski's devotional Prepare Him Room, which unpacks one Old Testament prophecy about Christ's coming during each week of Advent. 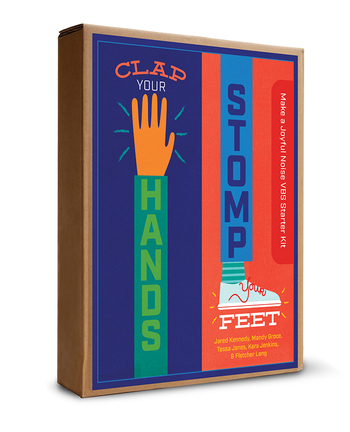 The devotional has an accompanying 4-week children's ministry curriculum that our church has used during Advent season with our church as well. Finally, you might consider these Bible memory ornaments from She Reads Truth, which provide Scripture memory passages for each day of Advent. Have you ever used a Jesse Tree in your home? If so, what tips have you found to be helpful?